The company will host live demonstrations of public or private cloud playout, using a virtualized Orca playout solution. Pebble Beach Systems, a provider of automation, content management and integrated channel playout technology, will use the IBC 2017 Show to spotlight its latest range of solutions that have now been virtualized for improved productivity. This includes the deployment of multiple virtualized channels in both a public and a private cloud with Orca; Lighthouse, a web-based remote management and monitoring tool for the Marina automation system; and Beluga, a new workflow engine, content management and video processing solution. IBC attendees will see a live deployment and hosting of multiple channels in the public or private cloud, using Orca, Pebble Beach System's virtualized playout solution running under the Marina automation control system. The ability to deploy new channels in a matter of minutes at low cost makes Pebble's public cloud solution particularly suited to pop-up, event-based channels, comprehensive Disaster Recovery applications, and any instance where deployment agility is required. DMC, the European media gateway, recently announced the launch of its innovative, full-IP virtualized playout platform, based on Pebble’s Orca system. DMC's fully virtualized software-defined 'private broadcast cloud' provides a step-change in industry innovation and enables its customers to benefit from the agility and flexibility of an all-IP world. Hosted at DMC's re-imagined network operations, media management and distribution facility in Amsterdam, the platform provides international content owners with a passport to 700 million European viewers. The platform, which delivers 30 channels today, will be used by more than 80 channels in Europe from September 1, 2017, following the full migration of remaining channels from DMC's former facility. The all-IP architecture enables DMC to commission and deliver new channels to market faster than ever before 'a matter of hours instead of weeks' with the potential to reduce this to minutes. Lighthouse is a web-based remote management and monitoring dashboard for the Marina automation environment. 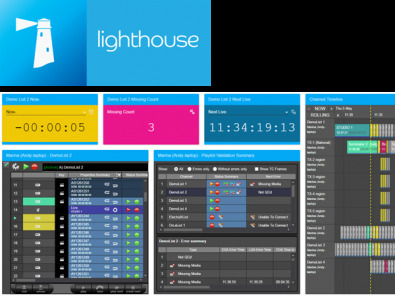 Lighthouse is a web-based remote management and monitoring dashboard for the Marina automation environment that extends Marina’s functionality to business users, operational staff and engineers both inside and outside the broadcast facility. As Pebble’s product portfolio expands into the virtual world, Lighthouse offers a series of interfaces which deliver conﬁguration and deployment functionality for Orca virtual channels. Using the new design and deployment tools, Lighthouse users can quickly and easily design, edit, launch and decommission virtual IP channels on the fly. It offers control, monitoring, media management, and system conﬁguration tools via an array of widgets on conﬁgurable web-based dashboards, with the ability to aggregate data across multiple sites. 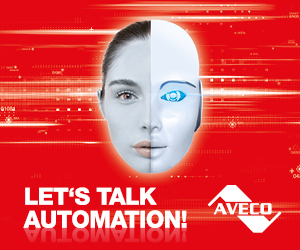 Modern playout workflows require agile, responsive methods of interaction at any time of day or night. Lighthouse extends the reach of staff with standard browser interfaces so that status and corrective actions are just seconds away, even outside the control room. For users with control privileges, accessing and controlling a channel from any location with Lighthouse makes unattended operation safe, and worry-free for senior staff. Finally, Beluga, developed in partnership with Blue Lucy, is a new workflow engine, content management and video processing solution that integrates closely with Pebble’s Marina automation system. It offers targeted file delivery, content preparation, and integrated QC workflows without the need to deploy an enterprise MAM solution.